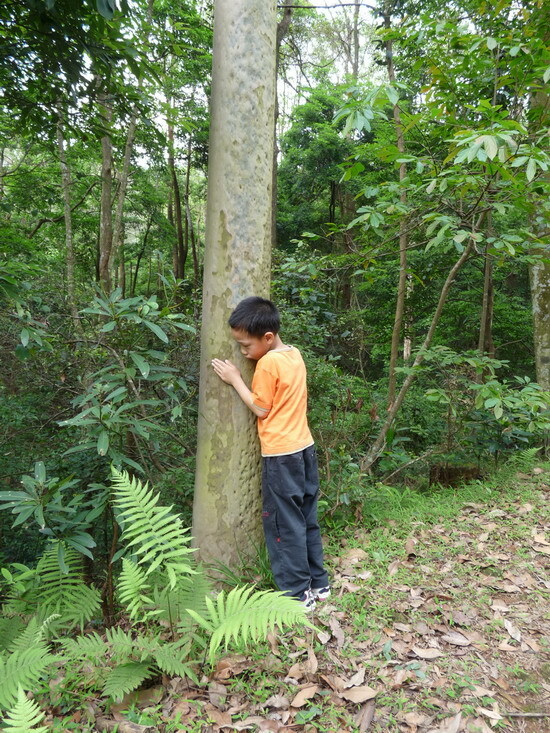 Kids put their ears close to the bark of Lemon-scented Gum (Eucalyptus citriodora) and listen to the flow of water in the xylem of the tree. The game is known as “heartbeat of trees”. When the sun shines on the canopy, water is pulled away from the leaves. Hydrostatic pressure is built up inside the trunk and through to the roots. Roots then pull out water from the soil for replenishment. This process of water movement is called transpiration. As such, if we listen attentively, we can hear the sound of the intermittent water flow. Even though it does not work each and every time, it works once in a while. When we hear the water flow, it is usually thought that the tree is trembling. When the tree trembles, we think that it’s because of wind blow. As long as you demand to get to the bottom of things, you can always find the answer.